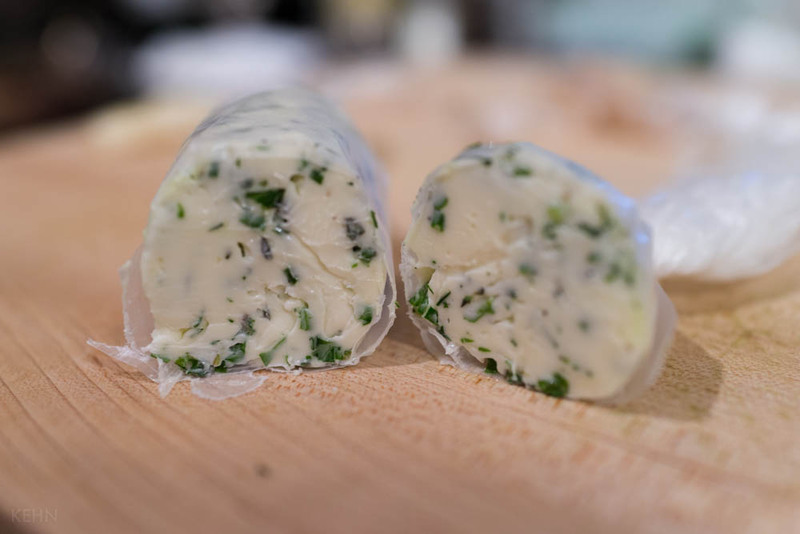 Beurre Maître d’Hôtel — more simply called herb butter — is a compound butter often used to finish off a steak. 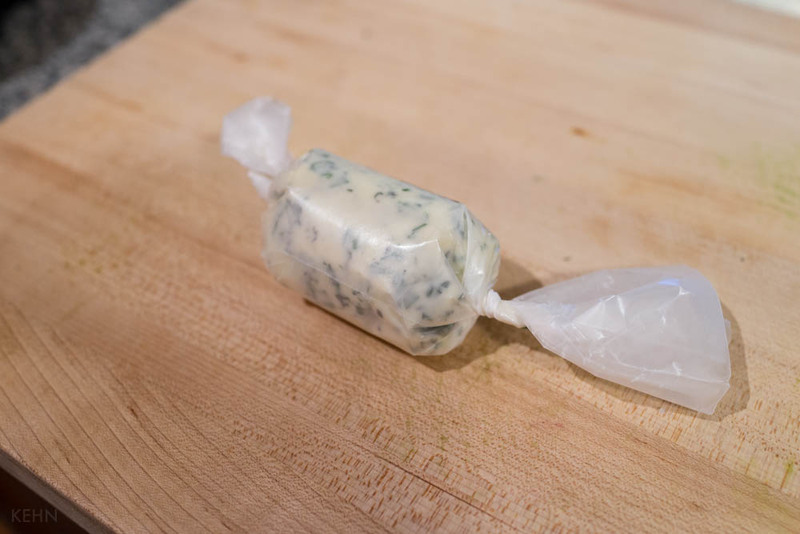 I made both the butter and the steak last Sunday so let’s explore the butter portion first. 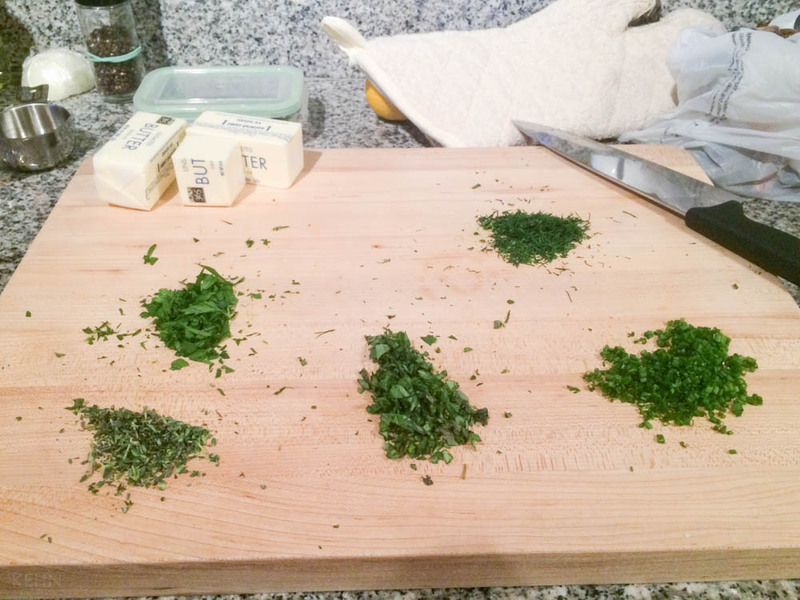 Assemble your herbs. 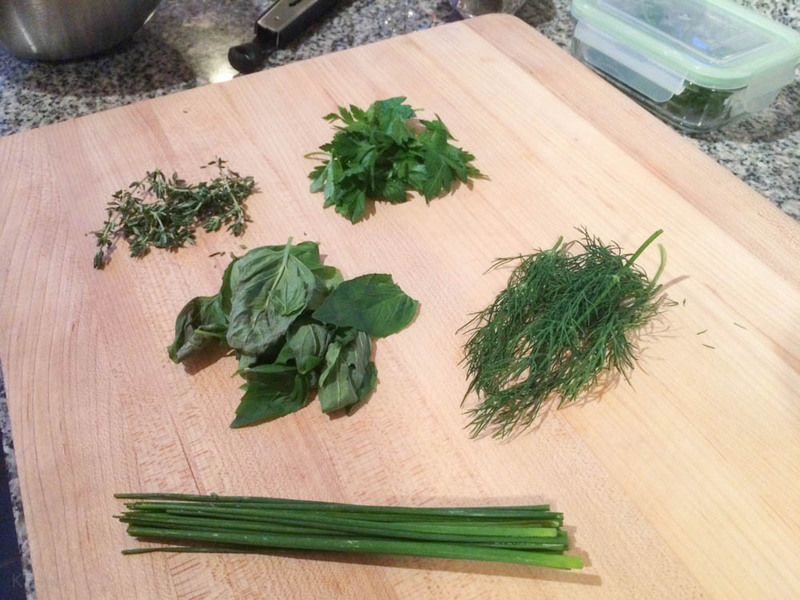 I used Parsley, Chive, Thyme, Basil, and Dill, but you can change those up as you like. 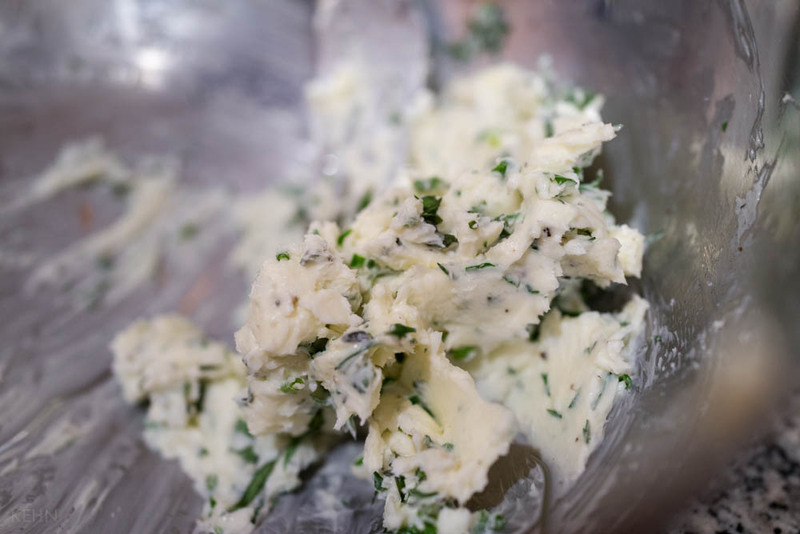 Take the slightly soft butter and mash the herbs into it. I used a potato masher, you can use a fork, spoon, or similar instrument to do the mixing. 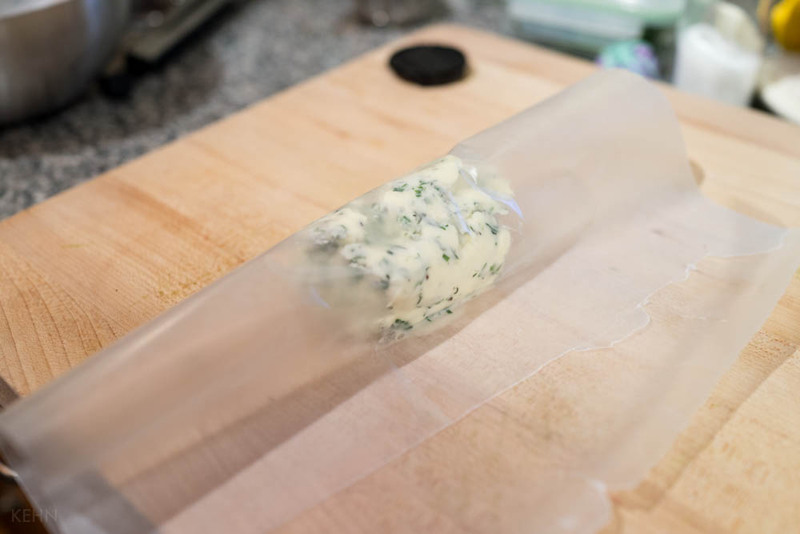 After the butter is well mixed, lay out a length of waxed paper and place a dollop of the butter/herb right in the center. 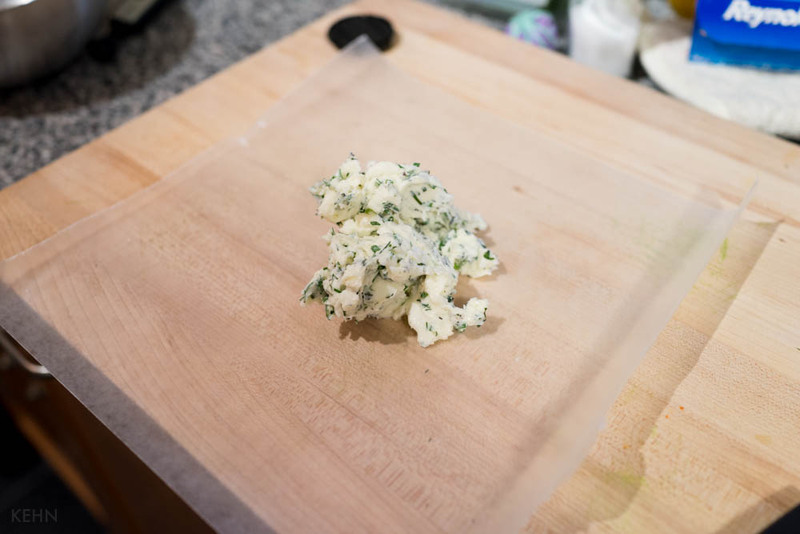 Treat the waxed paper as a tortilla and roll it together. Twist the ends to shape and seal the ends. I used a rubber band to hold them together. 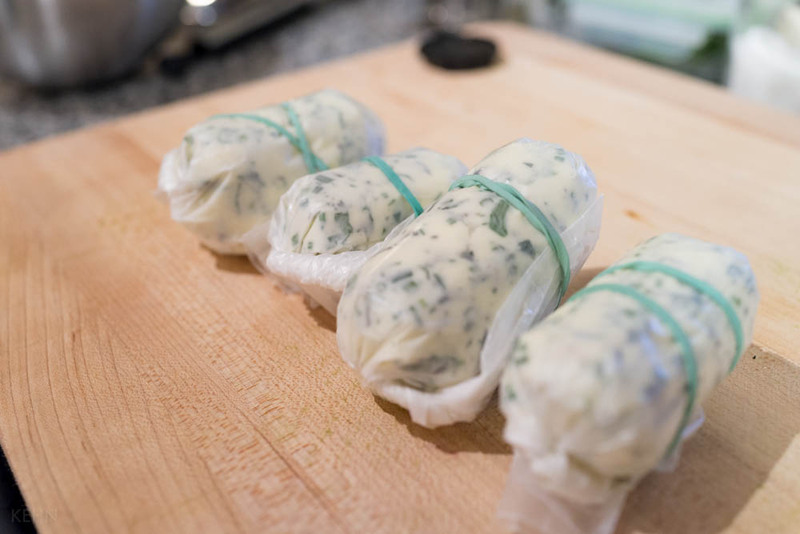 Put the rolls in a fridge to chill. 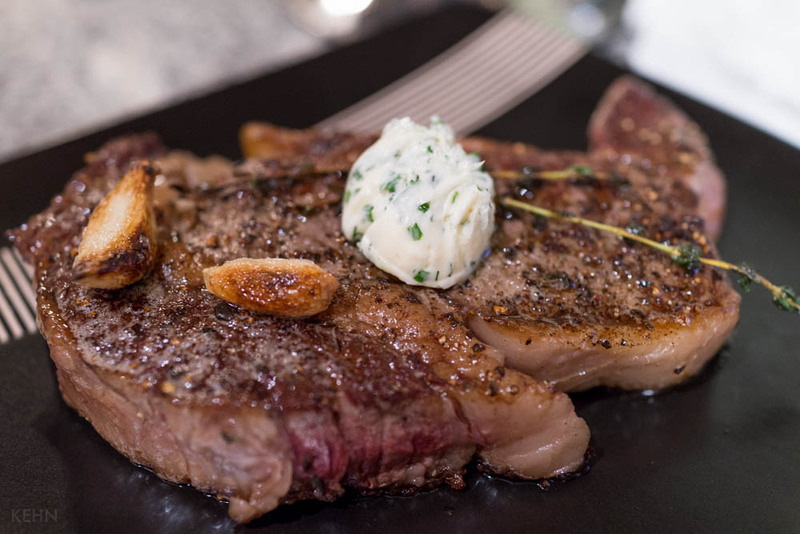 Up next: Perfect Ribeye Steaks.